On October 14, 2010, Foreign Ministry spokesman, Andrey Nesterenko, briefed journalists about the upcoming Munich security conference, and other foreign policy events. RT presents the full transcript of Andrey Nesterenko’s briefing. 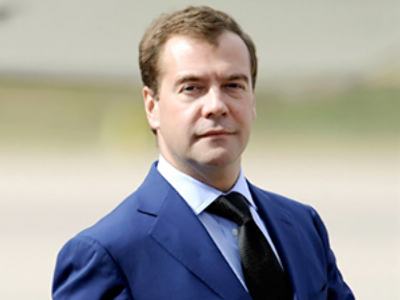 Russian President Dmitry Medvedev arrived in Algeria for an official visit on October 6, and on October 7 paid an official visit to the Republic of Cyprus. Details of these events are posted on the Kremlin website. This week, Russian Foreign Minister Sergey Lavrov held talks with Foreign Ministers Murat Dzhioev of South Ossetia (October 11), Luis Almargo of Uruguay (October 12) and William Hague of the United Kingdom (October 13). Several joint documents were signed during these visits. Russian Foreign Minister Sergey Lavrov met on 11th October the accredited ambassadors of the member states of the Association of Southeast Asian Nations (ASEAN) to Moscow. The main topic of the conversation was the preparations for the upcoming second Russia-ASEAN summit in Vietnam on October 30, 2010. More information is available at the Foreign Ministry website. Sergey Lavrov will hold talks with Indonesian Foreign Minister Marty Natalegawa on October 15. During the talks there are plans to discuss the state of bilateral relations, map out guidelines for cooperation in various fields, and examine current international issues. Indonesia is one of Russia’s key partners in the Asia-Pacific region. This year, our countries observed the 60th anniversary of diplomatic relations. In 2003 they signed the Declaration of Principles Concerning Friendly and Partner Relations in the 21st Century, a basic bilateral political document. Multifaceted cooperation with Indonesia figures prominently in our Asia-Pacific policy. On October 19-20, Moscow will host a Munich Security Conference session, at the initiative of Wolfgang Ischinger, Conference Chairman. The first such event outside conference headquarters was held in Washington in late 2009. The session will focus primarily on European security issues. In this context it will consider the initiative of President Medvedev for a European Security Treaty and other ideas that go in the same direction and have a goal to ensure the unity of the entire Euro-Atlantic space, including materialization of the principle of indivisible security in modern conditions. The conference assumes particular significance coming close on the heels of the summit at Deauville held by the leaders of Russia, France and Germany, in the midst of preparations for the NATO summit in Lisbon, which is set to adopt a new strategic concept for NATO, and the OSCE summit in Astana. Current and former statesmen and politicians of the US, Germany and other European countries, members of the NATO leadership, major experts on international relations, and business community representatives are expected to take part. Russia will be represented by Security Council Secretary Nikolai Patrushev, Deputy Prime Minister Sergey Ivanov, Foreign Minister Sergey Lavrov, parliamentary diplomats and political experts. Moscow welcomes the forthcoming session of the Munich Conference. It sees it as another important contribution to shaping a new agenda predicated on awareness of the fundamental commonality of interest among all countries in the region. And on the need to unite on a truly collective basis, efforts of all organizations operating in the Euro-Atlantic and Euro-Asian space in addressing the common problems of security and countering global threats and challenges. The first part of the OSCE Review Conference ahead of the OSCE Summit in the capital of Kazakhstan, the OSCE’s Chair-in-Office in 2010, ended in Warsaw on October 8. More than 50 delegations of member states, including Russia, examined the progress of implementation of the human dimension obligations they hold, and discussed the activities of the Organization’s institutions working in the humanitarian sector, such as the Office for Democratic Institutions and Human Rights (ODIHR), OSCE High Commissioner on National Minorities, and the Representative on Freedom of the Media. About 300 representatives of NGOs working in the OSCE area were invited. A thorough exchange of views took place between member states’ delegations and the representatives of civil society. The conference examined a wide range of issues related to improving democratic institutions, advancing human rights and ensuring the rule of law in the OSCE area. There is no doubt that the OSCE's activities in the area which is called the human dimension remain fully relevant. Recently, we have all encountered the growth of ethno-confessional extremism, separatism, and their inevitable consequences – the increasing number of crimes motivated by ethnic and religious intolerance that are provoked by national extremist tendencies of a marginal character within this or that religion, and by certain political forces using religious rhetoric and symbols for their own purposes. The Russian delegation drew participants’ attention to issues such as freedom of movement/visa regime liberalization, the enhancement of the quality of the OSCE/ODIHR work in the electoral processes monitoring and assessment, the fight against the spread of extremist ideologies, primarily the terrorist and neo-Nazi, and the protection of national minority rights. At the end of the working sessions of the first part of the conference, preliminary recommendations were formulated for discussion at its final leg in Astana (November 26-28, 2010) and for the preparation of the appropriate proposals for the Heads of State toward the OSCE Summit. Passing the baton to the Vienna part of the Review Conference, we stress that the Russian Federation supports efforts aimed at enhancing the effectiveness of the work of the OSCE on the humanitarian track, giving it greater transparency and ensuring that it is done within the scope of rules approved by the collective bodies of the Organization. The Ministry of Foreign Affairs has today issued a statement on the decision of the Georgian authorities to declare unilaterally a visa-free regime for Russian citizens living in a number of Northern Caucasus republics. The statement makes it utterly clear that such a decision cannot be considered anything other than a provocation. The attempt to divide the population of Russia into different categories is in itself contrary to the norms of civilized relations between nations. Also clearly visible is the link with the relentless striving of Tbilisi to destabilize the situation in the North Caucasus and divert attention from the destructive policies of the Georgian leadership against South Ossetia and Abkhazia. Russia has consistently advocated good-neighborly relations in the Caucasus, for providing a normal quiet life there, which Mikhail Saakashvili tried to undermine by unleashing the war in August 2008. He also broke off Georgia’s diplomatic relations with the Russian Federation, thereby creating barriers to communication between our citizens. It was the Georgian side that kept delaying the decision to open the Kazbegi-Verkhny Lars border crossing point. But now that it is functioning, the Georgian leadership has decided to find a way to use also this channel of communication for its own unscrupulous purposes. Russia has no problems with either Georgia or the Georgian people. We have a problem with the regime of Saakashvili, who just can’t calm down. It is clear, however, that all his frantic actions, aimed at finding new and new irritants, do not correspond to the interests of the Georgian people and can only lead to additional problems for Georgian citizens. Another, thirteenth, round of international discussions on security and stability in Transcaucasia is being held on October 14 in Geneva, Switzerland. The Geneva meetings are attended on an equal basis by delegations of the Republic of Abkhazia, Georgia, the Russian Federation, the United States, the Republic of South Ossetia, as well as representatives of the EU, UN and OSCE. The Russian delegation is headed by Deputy Minister of Foreign Affairs/State Secretary Grigory Karasin. The main objective of the Geneva Discussions on Transcaucasia remains a legally binding agreement on the nonuse of force by Georgia against Abkhazia and South Ossetia. We note with satisfaction that the parliamentary elections held in Kyrgyzstan on October 10 passed off peacefully, without any excesses. As far as we know, international monitors have not detected any serious violations that could have affected the election results. At the request of the Kyrgyz side, the CEC of Russia, the Russian Foreign Ministry and local authorities of the Russian Federation had provided all necessary assistance in organizing the voting of citizens of the Kyrgyz Republic on a temporary stay on Russian territory. Eighteen polling stations were opened in 15 Russian cities. As we understand it, an equally crucial stage lies ahead in the political life of Kyrgyzstan – formation of a coalition government based on the election results. Russia would hope that the new parliament and government of friendly Kyrgyzstan will act cohesively and effectively in tackling the tasks of further stabilizing the situation and restoring the socio-economic infrastructure for the benefit of the multinational people of the country. 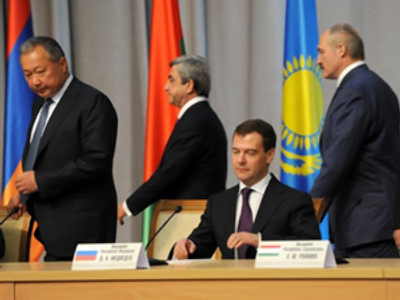 Contacts are continuing between the participants in the process of political settlement of the Transnistrian problem. Deputy Minister of Foreign Affairs/State Secretary Grigory Karasin received on October 6 the political representative in the Transnistrian settlement process and the Minister of Foreign Affairs of Transnistria, Vladimir Yastrebchak. During the meeting Karasin and Yastrebchak discussed the prospects for resumption of the negotiation process on the political settlement of the Transnistrian conflict and the results of recent informal contacts of the political representatives of the Republic of Moldova and Transnistria with mediators from Russia, Ukraine and the OSCE as well as observers from the EU and the USA (the “5+2”) in Chisinau and Vienna. A meeting of the Ministerial Committee of the League of Arab States (LAS) to promote the Arab peace initiative took place on 8 October in Sirte (Libya), which was followed by an extraordinary LAS summit, held in Libya on October 9-10. Russia in its national capacity and as an active Quartet member will continue to make purposeful efforts to promote a comprehensive Middle East peace process. We are sure that there is no alternative to a politico-diplomatic negotiated settlement of the Arab-Israeli conflict. On the visit to the region was Alexander Saltanov, Russia's Special Presidential Representative for the Middle East and Deputy Foreign Minister, who held a number of important contacts in Israel and the PNA. During these conversations the focus was on the various aspects of the situation in the Middle East with emphasis on the prospects for the continuation of the Israeli-Palestinian negotiating process. On September 20 information came that one of the officers of the large anti-submarine warfare ship Admiral Levchenko of the Russian Navy’s Northern Fleet, patrolling the Gulf of Aden on anti-piracy duty, Senior Lieutenant R. N. Bukharmetov, needed emergency hospital treatment due to worsened vital signs. The patient's condition was extremely grave. At the request of Russian Navy commanders, the Russian Foreign Ministry urgently asked the French authorities for help, who immediately gave the necessary orders to their military and diplomatic representatives in Djibouti, the nearest point to the location of our battleship. In close coordination with the Russian Embassy in Djibouti, it was organized for the transportation of the patient by a French air force helicopter to the hospital was of the French armed forces on the French naval base in Djibouti, where he underwent several operations. After the necessary medical assistance, Bukharmetov’s condition improved, which made it possible to take him by a Russian air force plane to Moscow for further treatment and recovery. The Russian Foreign Ministry expressed its gratitude to the Government of France, and all the French military and civilian organizations and individuals who rendered help to the Russian citizen in a difficult situation. News agencies have reported that the Mongolian-flagged dry cargo vessel Vasiliy, carrying a cargo of scrap metal from Odessa to Georgia, sank in the Kerch strait in the early morning on October 11 during a strong storm. On board were 13 crew members – 10 citizens of Russia and three citizens of Ukraine. A search and rescue operation, involving considerable manpower and resources of the Ukrainian emergency services, rescued nine people – seven Russians and two Ukrainians – who were taken to Kerch medical facilities. The body of the vessel boatswain, a Russian citizen, was found. The search is continuing for three missing crew members – the captain of the vessel, a Russian citizen, and two mates, a Russian and a Ukrainian. So far, unfortunately, the search has yielded no result. The Russian Consulate General in Simferopol, in cooperation with the Ukrainian authorities, rendered necessary help to the Russian citizens, and now they all have returned home. According to relevant Ukrainian services, the sinking of the cargo ship Vasiliy has not affected the water area and coastal strip of the Kerch strait. We were asked several questions by the Danish newspaper Extra Bladet about the detention of a Russian citizen, Lors Dukaev, in Copenhagen on suspicion of terrorist activity and about his possible links with Islamist circles in Western Europe, as well as Russia and Tajikistan. By answering these questions, I can say just this: from the media reports we are aware of the detention on September 10 in Copenhagen of a certain Lors Dukaev. He’s presumably a citizen of the Russian Federation permanently residing in Belgium, suspected of setting off an improvised explosive device in the basement of Copenhagen’s Hotel Jorgensen. To date, however, we have received no official information from Danish authorities containing reliable data about the citizen. Russia is conducting a National Population Census. Information for foreign citizens is available at www.perepis-2010.ru. Question: The mass media have reported that on October 7 the Batumi City Court sentenced three Russian nationals. Is the Russian Foreign Ministry going to take any steps in this regard? Answer: Russian citizens visiting Georgia systematically become objects of provocations and abuses by the Georgian authorities. On May 13 citizens of the Russian Federation Yuri Dmitriyevich Skrylnikov, Yuri Andreyevich Marchuk and Mikhail Ilyich Vyalov (the latter also has the citizenship of Georgia) were arrested in Batumi on charges of forgery and distribution of banknotes. Currently, they are being held in one of the pre-detention centers in Tbilisi. On October 7, Batumi City Court found Skrylnikov, Marchuk and Vyalov guilty of committing a crime under Art. 212 of the Criminal Code of Georgia (making or sale of counterfeit money or securities) and sentenced Marchuk and Vyalov to six years imprisonment, and Skrylnikov as the “organizer” to eighteen years. He was also fined 12,000 Georgian laris (about 70,000 US dollars). The information obtained while visiting the arrested Russians, by a consular official of the Russian Federation Interests Section of the Embassy of the Swiss Confederation in Georgia in June and September this year (Georgian authorities refused to allow a meeting with Vyalov, giving as reasons his holding Georgian citizenship) gives rise to a reasonable suspicion that the criminal case instituted against them is trumped up. Thus, it has turned out that the fake banknotes in Skrylnikov’s and Marchuk’s possession, amounting to US$3,800 and 2000 respectively, were found only two hours after their arrest, and that in both cases the witnesses were Georgian Interior Ministry workers. The same scenario went on in the judicial process as well – any defense arguments were rejected immediately, and members of Georgian law enforcement agencies acted as witnesses. Currently, the defense lawyers are preparing an appeal against the verdict of the court of first instance. 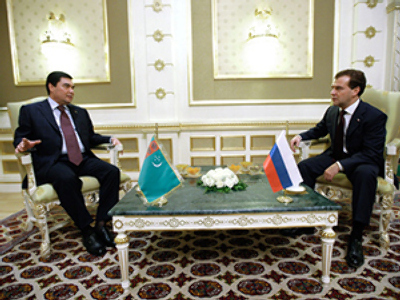 It should also be noted that Marchuk and Vyalov had served on the Russian military base in Batumi (Vyalov also held the position of director of Batumi’s Russian secondary school), and one of the sons of Skrylnikov is a serviceman of the North Caucasus Military District of the Russian Armed Forces. During interrogations at the pre-detention center Skrylnikovu was asked mainly questions concerning the service of his son (position, responsibilities, etc.). What happened to the Russian citizens can only be regarded as another gross provocation of Georgian special services in respect of the Russians who had in the past a relationship to the Russian military base in Ajaria, and the sentence rendered against them – as clear evidence of the partiality of the Georgian judicial system, dutifully carrying out the “orders” of the ruling regime in Tbilisi. Question: Could you comment on the situation with the vessel Lyubov Orlova given that the crew has turned to the Russian Consulate in Canada with a request for repatriation? Answer: Since the arrest at the Canadian port of St. John of the cruise ship Lyubov Orlova with a Russian-Ukrainian crew on board (51 Russians and 1 Ukrainian) the Russian Embassy in Ottawa has within the scope of its authority been actively involved in all aspects of the case. The reason for the arrest of the ship was the ship owner’s debt to the Canadian chartering company engaged in the organization of sea cruises in the Arctic. In fact, however, it has to be stated that Russian seafarers have once again turned out to be hostage to a dispute between two economic entities. In this particular case the ship owner – the LOSCO firm registered in Malta – so far is not only not able to find funds to repay its debt to its creditors, but even to pay wages to the crew for several months. On October 7, a suit for back wages was filed with a Canadian court on behalf of the crew. In this situation, the Foreign Ministry in cooperation with the Embassy in Ottawa is using all available opportunities to assist the compatriots in a difficult situation. The Ministry summoned the ChargÃÂ¹ d'Affaires a.i. of Canada to Russia, to whom the appropriate representation was made. To clarify the situation on the ground St. John’s was visited by the Russian consul, who met with the crew members and representatives of Canadian competent agencies. The humanitarian situation on the ship is being constantly monitored. The Russians are provided necessary consular and legal assistance and moral support. The Embassy works closely with Canada’s Department of Foreign Affairs to facilitate resolving the situation as soon as possible, with regard to the observance of the legitimate rights of the Russian seafarers. Question: There have been reports of the arrest of Russian state property in Sweden. Do you have any information clarifying the situation? Answer: Indeed, a few hours ago a number of Swedish and Russian news agencies carried a report of the decision by an arbitration court in Sweden placing an arrest on some Russian property in the country. In principle, we know the history of this case, associated with the name of a German businessmen; it was not born overnight. We need to familiarize ourselves with the latest decision of the court, and then with the help of lawyers we will be able to make some conclusions. Question: How is the situation developing with the detention in the US of Russian hackers? Answer: According to the Russian Consulate General in New York, in the case of an international criminal gang of bank fraudsters a charge has been brought against 22 Russian citizens, 19 of them were arrested, while three are wanted. The Consulate General is closely monitoring the situation and the conditions of detention of the arrested Russians. Almost all of them are in general population cells and have contact with the defense lawyers working on the case. Due to the lack of space, two of the Russians were placed in a solitary confinement cell (without being subjected to the strict regime), but prison administrators have promised to rectify the situation by October 14. The detainees’ moral and psychological state is normal. For operational communication they are given the Consulate General’s mobile phone number. Assistance was provided in transferring money to their prison accounts, and the majority is allowed to communicate with relatives by telephone and via the Internet. Consular staff members are constantly in touch with the lawyers as well as with the arrested. For example, an appointment has been made to visit Y. Sidorenko, S. Rastorguyev, Y. Klepikova, N. Demina and R. Kovtanyuk. In addition to consular visits, the Consulate General continues to work with US law enforcement representatives to get comprehensive official information on all the Russian citizens detained in this case. Question: Please comment on today's trip of Viktor Ishayev to the Russian-Chinese border. He was left dissatisfied with how the construction of our border proceeds, because the island on the Russian side is being washed away increasingly closer to military units. Answer: I am not authorized to comment on statements and actions of our governors and therefore cannot say anything about it.